Pray for all the resources and creativity needed to fulfill the intentions of God in the state of South Carolina. 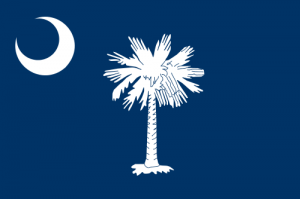 State Information: Settled by the English in 1670, South Carolina was based on a plantation culture with an aristocratic, wealthy society that was dependent on black slave labor. One of the original 13 colonies, South Carolina was first formed in 1729 when the Carolina colony was divided in two to form North and South Carolina. The attack on Fort Sumter in the Charleston harbor launched the Civil War. After the war, the structure of the state changed. Today South Carolina honors its history and culture while also working to become a global business center. It is fitting that the state tree of the “Palmetto State” is the cabbage palmetto, which also appears on the state flag. The flower is the yellow jessamine, and the capital is Columbia.